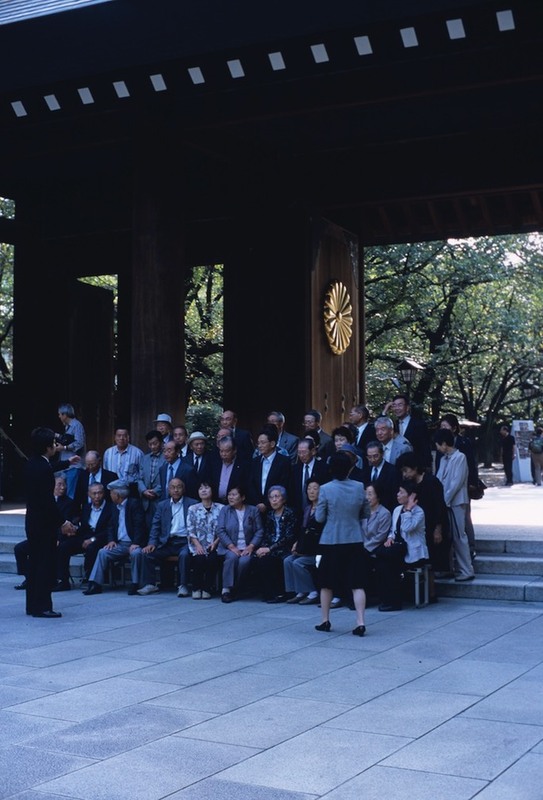 This is a very controversial place - a simple visit by a Japanese politician to the shrine will elicit howls of protest from the Chinese and South Korean Governments. 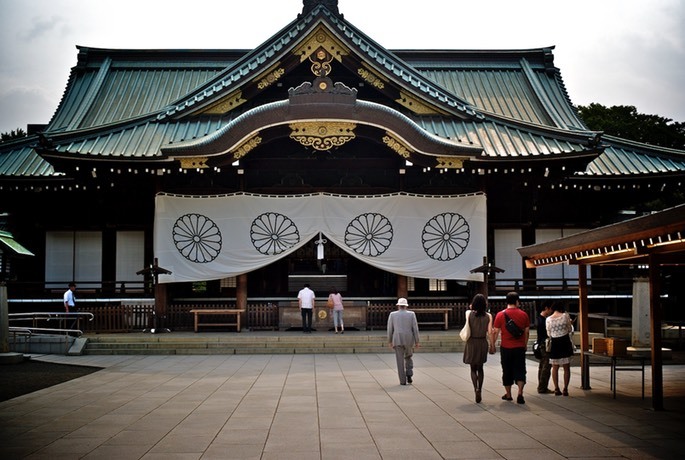 So why does a midium sized shrine, in the middle of Tokyo being on the wrath of other governments in the region? It is the shrine dedicated to those who have given their life in service of the country (or the Emperor depending on how you look at it) - a sort of war memorial for all the battles fought in the name of Japan. What makes this especially controversial is that some of the people intered in here are convicted war criminals - mind you they are a very, very, very small minority of the millions of war dead - over many hundreds of eyars of wars - that are represented here. 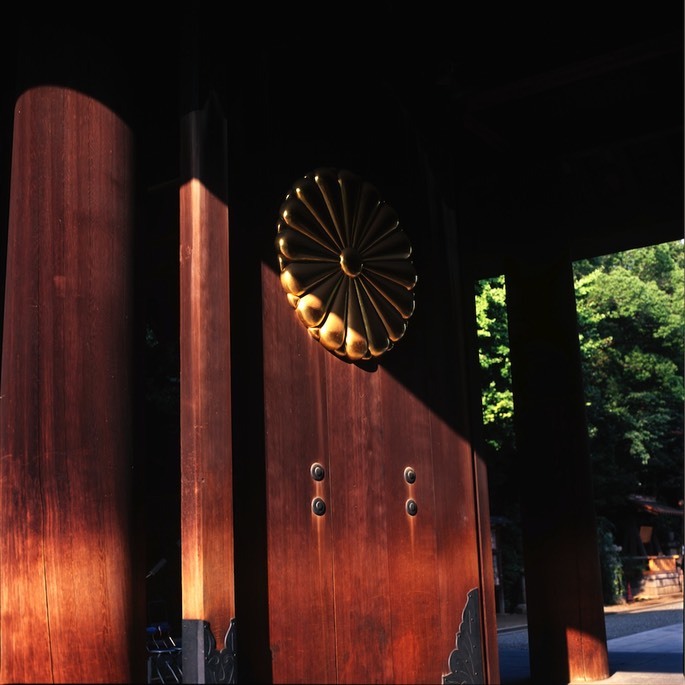 The shrine itself is actually quite unremarkable, although the grounds - for central Tokyo - are extensive and include a museum of recents conflicts. I warn anyone going to the museum, that some of the "facts" on display might be quite different to the "facts" you were taight at school - so take it as it comes. I have taken a number of photo sessions over the years here and include them in this post. Enjoy. The main shrine. This is as close as you can get with a camera to the main shrine - the guards are very zealous in stopping photos. Taken on a Leica M8.2 with Voigtlander 35mm F1.2 lens. 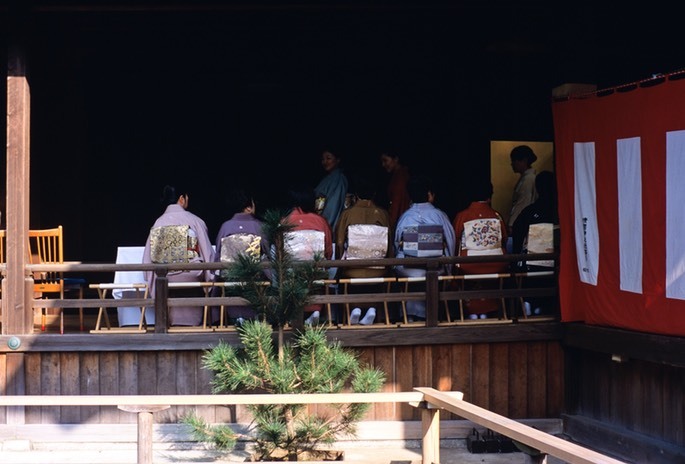 Some of the pavilions around the main temple are used for some group activities, so require kimonos it seems. 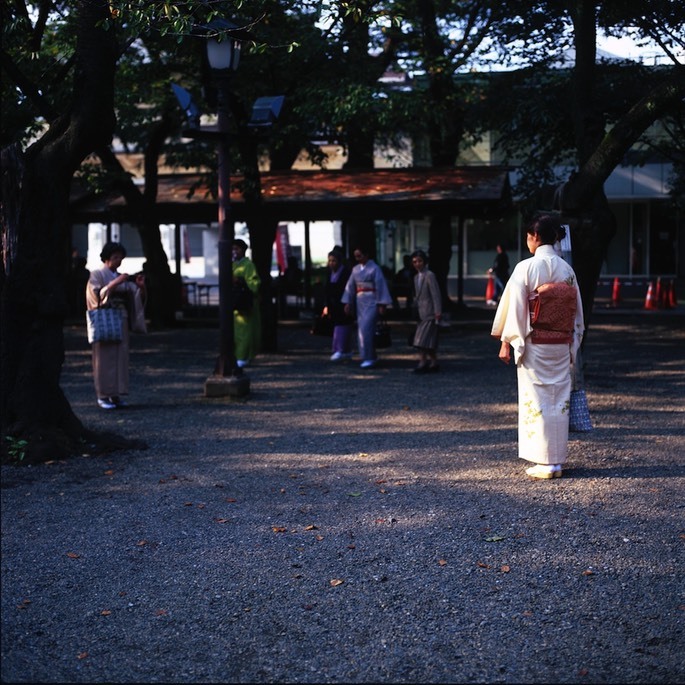 Taken with Leica M7, Lecia Noctilux and Fuji Provia 100F film. Some things are done in secret! Taken with a Hasselblad 500CM with Fuji Provia 100F film. Kimono clad folks take photos of each other - old meets new. Taken with a Hasselblad 500CM with Fuji Provia 100F film. 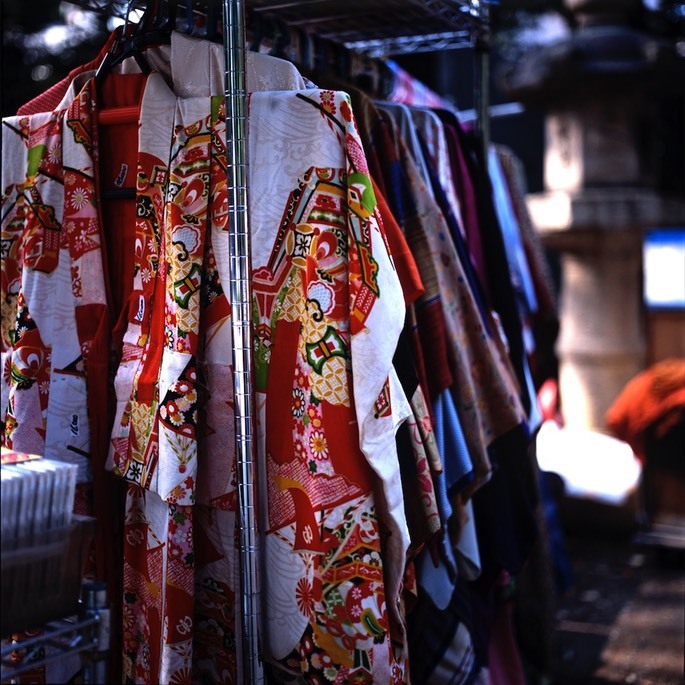 On weekends there is a flea market - sometimes you can see very nice looking kimonos for sale. Taken with a Hasselblad 500CM with Fuji Provia 100F film. The main gate features the symbol of the Emporer. Taken with a Hasselblad 500CM with Fuji Provia 100F film. The "right wing crazies" sometimes come out with their own propaganda vehicles. 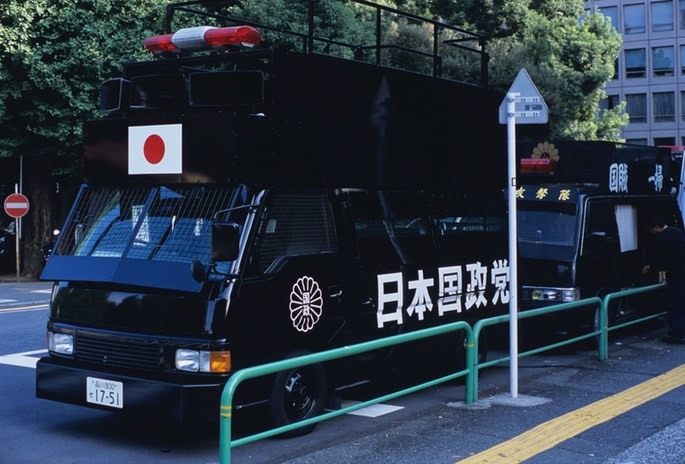 These are a bizarre sight in Tokyo. 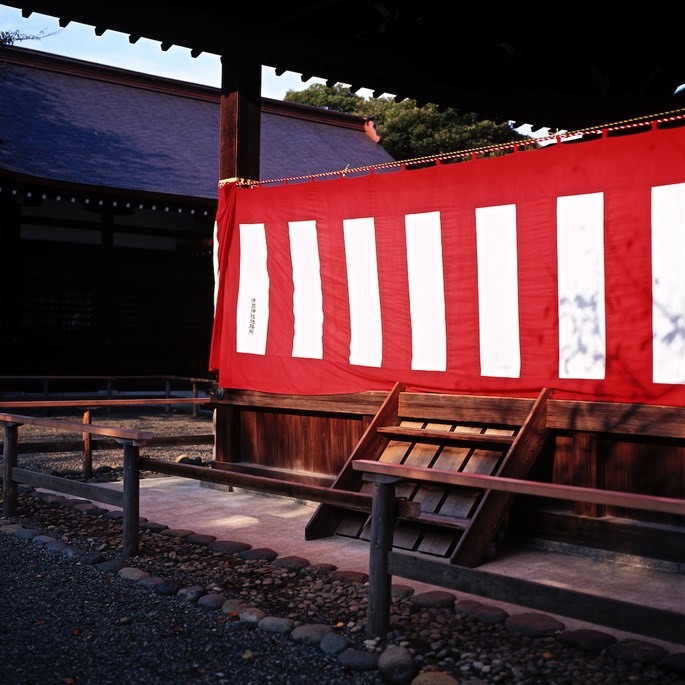 Taken with Leica M7, Noctilux 50/1.0 and Fuji Provia 100F. Every good tour has a group photo. Taken with Leica M7, Noctilux 50/1.0 and Fuji Provia 100F. 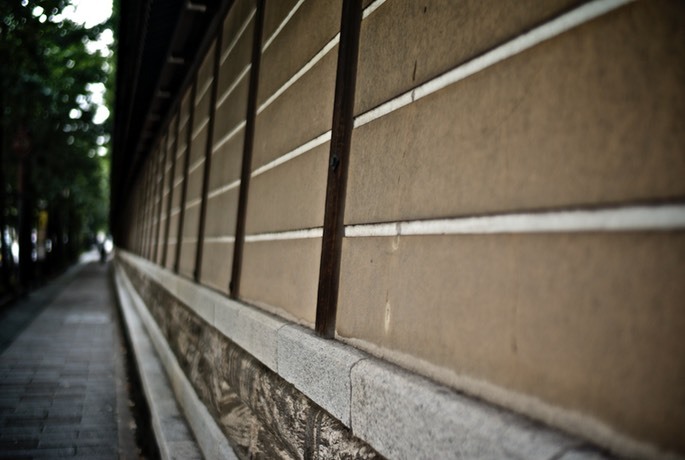 The whole place is surrounded by a very typical Japanese wall. Taken with a Leica M8.2 with Voigtlander 35mm F1.2 lens.